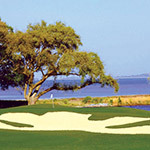 Home to over 20 world-class championship golf courses, Hilton Head Island is a golf enthusiasts’ ultimate paradise. 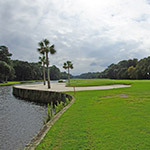 The immaculately trimmed fairways of the Island’ s public and private golf are located throughout the Lowcountry area, including Bluffton and Daufuskie Island and offer a variety of golfing experiences from oceanfront courses to traditional parkland courses. 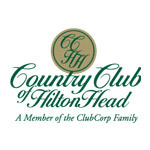 For your convenience, Island Getaway offers vacation packages that highlight some of the finest golf courses on Hilton Head Island. Explore the following course listings and see for yourself! The Arthur Hills Course at Palmetto Dunes Oceanfront Resort takes full advantage of the natural beauty of the South Carolina Sea Islands. Tee off and get ready for a unique golfing experience that brings forth the inherent challenges of the game. 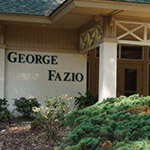 The George Fazio Golf Course was designed by one of America's most revered golf architects and requires focus on long play and precise golf shots. 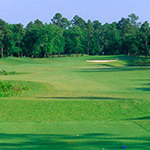 Many golfers regard this course as one of the most challenging golf courses on Hilton Head Island. 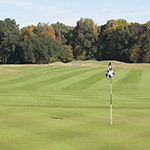 Come and see why readers of Golfweek magazine consider this course to be one of the best ones in the Southeast. Extensively renovated in 2002, which involved reshaping and restructuring tees, greens and bunkers, this course delivers a golf experience that fails to disappoint. 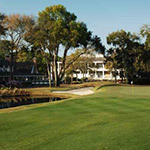 Home to the highly acclaimed RBC Heritage, Harbour Town Golf Links is a perennial favorite among PGA TOUR players. With a collection of par threes ranked among the world's finest and a par-4 18th hole considered one of the most feared in all of golf—your game is ultimately be put to the test. As the first course built on Hilton Head Island, the Ocean Course certainly has not lost its appeal as a premier golf experience. 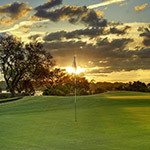 The championship course features ones of only two oceanfront holes on Hilton Head Island and delivers delightful challenges to both novice and veteran golfers. A few rounds on this course and you'll quickly realize it certainly lives up to its reputation as a modern masterpiece. 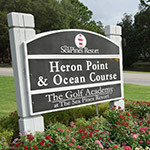 As the newest must-play course, Heron Point by Pete Dye features fairways and greens that have been reshaped in a way to be both challenging and aesthetically pleasing. Designed in 1960 by George W. Cobb, Barony Course was one of the first ones on the island and is a course where accuracy, not length, is paramount. From the tee, many of the holes appear to be relatively open, but as you approach the greens, the real challenge becomes clear. Though the youngest of its sister courses, Planter's Row presents quite a challenge with water coming into play ten out of 18 holes. You’ll find narrow, tree-lined fairways that lead up to the course’s small undulating greens, offering a great challenge for golfers of all skill levels. As you face the challenges of the course’s par-3 holes, take a moment to enjoy the beautiful magnolias and live oaks that line the fairways. This course also sets atop former Civil War grounds and features historical markers throughout the course, describing events that took place on the Island. Experience the golf course that redefined conventional golf course architecture by being originally designed by a computer. 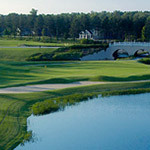 Many past golfers have described the course as unique, innovative and eminently playable, and the course continues to draw high praise. 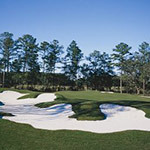 Oyster Reef is renowned for its clever layout and also recognized as one of the best pure golf experiences on Hilton Head Island. 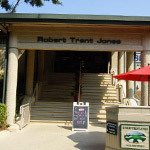 Golf course architect Reese Jones used the natural landscape to create an inspiring course that combines challenge with a sense of fair play. 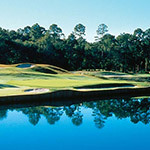 This golfing experience captures the beauty of Hilton Head by meandering through pristine marshland and pine forests. 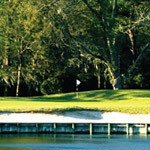 With 14 doglegs and water on 16 holes, the golf course provides a variety of holes that challenge golfers of all levels. 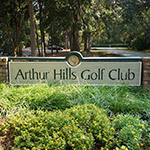 Situated in a place that highlights the beauty of the Lowcountry, this course is the only public-access course in the Hilton Head area designed by Arnold Palmer. In true “Arnie” fashion, the course is highlighted by generous fairways and challenging and undulating greens. 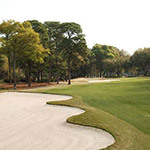 Quickly becoming a favorite over the years, Rose Hill Golf Club strives to give the best golfing conditions, outstanding customer service and the most competitive rates in the Low Country. Veteran course designer Clyde Johnston took what was once a horse farm and created a stellar, difficult course, which features gently rolling hills, marsh, water and other hazards. 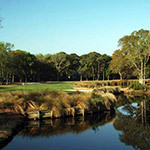 Coming in with a 145-slope rating, Old Carolina Golf Club is also one of the toughest tests in the Hilton Head area. 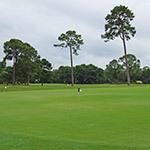 A favorite among golfers and tourists, Eagle’s Pointe Golf Club provides terrific variety and puts maximum value on a golfers’ approach into the greens. 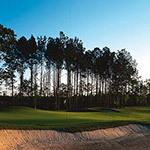 Eagle’s Pointe was also engineered as one of the most environmentally compliant golf courses in Beaufort County and Bluffton. This unique 18-hole player friendly course will have golfers of all skill level use every golf club in their bag. Hall of Famer Gary Player, created the first nine holes and former PGA Tour design consultant, Bobby Weed designed the other nine. 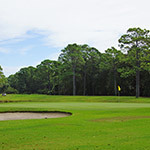 Golden Bear Golf Club at Indigo Run quickly earned a name for itself as one of the top-rated golf course designs on Hilton Head Island. The course is set within a gorgeous landscape of gently rolling terrain, thick woodlands and a chain of beautiful lagoons. With an intricate design that features beautiful rolling fairways, elevated tees, and carefully preserved natural marsh areas, Island West delivers a memorable golf experience. 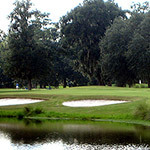 Golfers of all skill level are invited to come and experience the unique spirit of the Lowcountry. Find inspiration for your best game at Hampton Hall Golf Club. Designed by the master in Old World Style, this championship golf course was built with precision and artistry in mind. Notable course highlights include five sets of tees with yardage that stretch from 5,329 to 7,503 yards.